Thank you fellow artist Faye Anastasopoulou! 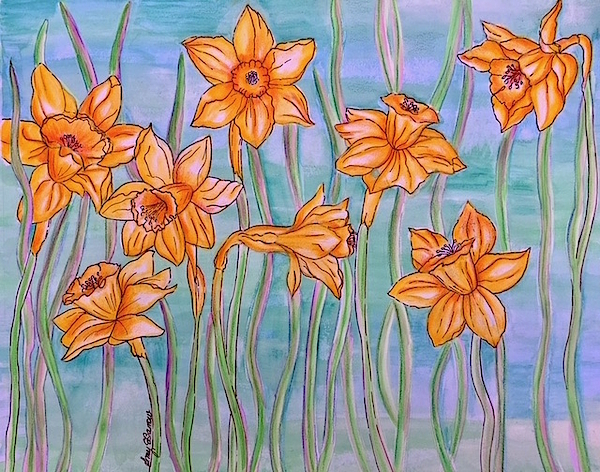 This past spring the wild daffodils of Maryland stood out in my mind. I started to have an image of how I would like to represent them,...Waving vertical lines for stems, acting like a gliding backdrop to the flowers. I also wanted to create an image that would be refreshing and cheerful to look at with my favourite turquoise and blue colours coming into play.